In this month’s cover image, Isabelle Reidpath Martin arranges flowers in the Darwin D. Martin House in Buffalo, New York. 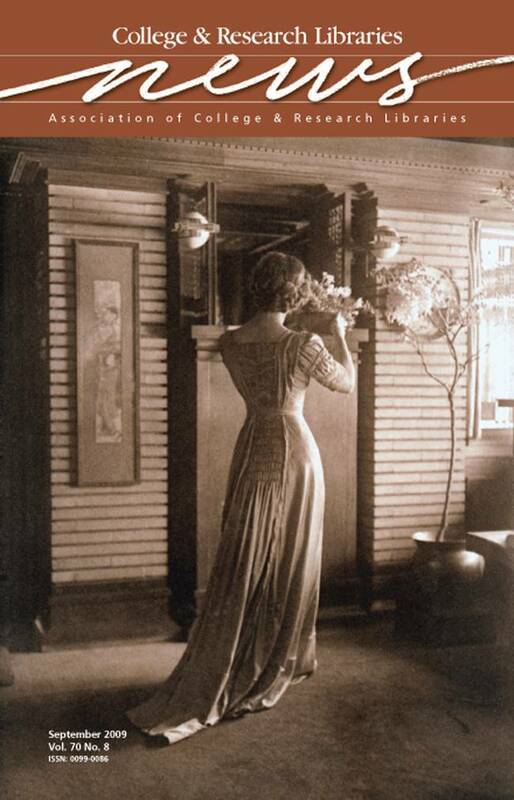 She wears a dress designed by Frank Lloyd Wright, the architect who drew up plans for the house in 1902 at the request of her husband. Wright, inspired by his singular vision of aesthetic unity in interior design and dress, would often design dresses for his first wife, Catherine, and the wives of his wealthiest clients. Taken in 1912 by Louise F. Mueller, the photograph is part of the Frank Lloyd Wright-Darwin D. Martin Collection held by the University Archives, University at Buffalo Libraries, State University of New York. For additional details, visit library.buffalo.edu/archives.